These words still echo in my mind as I write this article. These are the words of Renee Miller, mother of the late Garrett Miller (1985-2015), spoken as we concluded our lunch. Renee shared her story. Now we share it with you in hopes of reaching the hearts of others struggling with the pain of mental health. Garrett’s mother describes him as a “gentle and sensitive” child who always had a love for music. He started with violin and later switched to guitar. In 2004, his high school band Paris won a battle of the bands, even knocking out the now world famous Paramore. Besides music, Garrett’s mother says he was involved in his church and attended several mission trips overseas. He had a “passion for life, for God, sharing his faith with anyone, his Love for others, the homeless”. Garrett was seemingly a normal kid, although his mother says he did struggle with school and may have demonstrated some signs of ADHD. “He was more interested in friends, activities, and social life”. Outside of academic struggles, she describes him a joyful, outgoing, and creative. How would she have guessed the struggles that were to come in his early adult life? 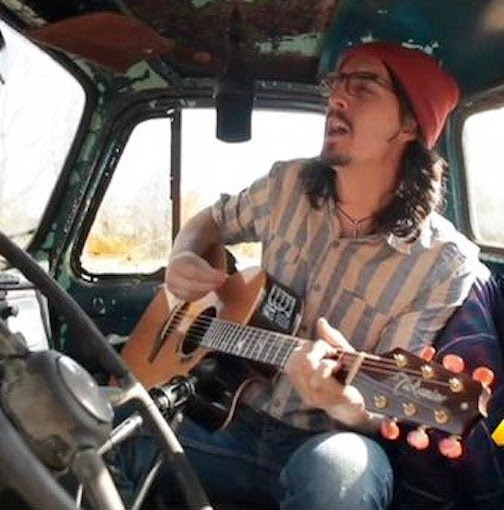 After highschool, Garrett pursued his passion with music, playing gigs, writing, and recording. His mother says he would hold down side jobs throughout the years, but never really met financial successes. He had various roommates throughout the years and would take residency on friends couches for brief periods. The common struggles as a musician, would soon be compounded by some severe mental health episodes. “He called me and didn’t sound right. His speech was halted. He sounded panicked and confused. When I went to his apartment, he looked horrible with dark circles around his eyes, like he hadn’t slept in days. He was not making sense. I brought him to our house and we got him to doctor who prescribed what I think were antidepressants and something to help him sleep. In the morning he was gone. We couldn’t find him and his dad went driving around searching for him and found him wandering down a back road with his bible talking about the how the Lord was returning soon. Not knowing what this was or what to do was so very frightening. I called my counselor and she said get him to the emergency room. Endless hours passed as they tested his blood for drugs. He was talking nonsense, but was so very kind the whole time to all of the attendants, doctors and nurses. But he didn’t know what day or month it was. This would be the first of six more episodes over the next eight years. Each subsequent episode was caused by him going off his meds... not sleeping, becoming disoriented, confused and at times wandering off again in a similar daze, resulting in family and friends looking for him. He was later diagnosed with Bipolar I Disorder and spent these last eight years of his life attempting the balance of life and mental health. It became a cycle of establishing balance, medications, therapists, manic episodes, breakdowns, dreaded phone calls of another episode and hospitals. Garrett’s mother says the episodes were consequently after he would stop taking his medications for one reason or another. His loved ones did their best to manage life outside of the heartbreaking cycle, until that cold night when the world stopped moving for this family. “It was Garrett's 7th major breakdown and relapse that took him "Home”. On the evening of Friday, March 6th, 2015, my life, our family, all that I’ve known, would never be the same. My heart would forever beat with a wounded beat. A frantic phone call from his sweet wife of just 10 months, that familiar panic, an urgent call to the police, prayers upon prayers, all of us searching for him. Hoping. Believing. Trusting that he would be found, just like all the other times. "God, please... just keep him warm." I pleaded. On that crisp, clear, freezing cold, full moon, star-filled night, my son walked for nearly 3 hours, wearing just a thin jacket over his clothes and slippers. Wandering and disoriented. Renee admits she had her own misconceptions about mental health before Garrett’s diagnosis and wishes she had more information in the beginning. She talks about the importance of accepting mental illness as any other illness. Recognizing the brain for what it is, an organ in the body, and mental illness as the medical condition, not a choice. Some of the barriers Renee says they faced was knowledge of available resources (knowing who and where to seek help), lack of quality psychiatric facilities, lengthy emergency room protocols, lack of education for the general public awareness, and stigma. The things she found to be beneficial in this mental health battle was the crisis mobile unit, NAMI education classes and support groups, mental health clinics that provide caseworkers, and general education on mental health. Lastly, Renee shares with us the things she believe would have been helpful through this journey. She applauds spaces like Nuci’s Space in Athens, GA that support locals musicians, especially those struggling with mental health. Renee states she wishes there were mentors available to those starting out in the music industry to support and guide individuals through the struggles and complex system of entertainment. Lastly, she hopes for more campaigns and fundraisers to raise awareness on mental health and improve resources available. Renee expresses a deep appreciation of music and recognizes the complexity of navigating life as an artist with mental health. While she is very open with the fact the pain of losing her son is still very present, her efforts in educating and combating mental health stigma through her story are so impactful. We greatly appreciate the chance to sit with Renee Miller and learn more about her amazing son, Garrett. We are also grateful to share this story in hopes others may feel consequently moved in some positive direction, whether with fighting stigma, their own mental health, or the struggles of others.